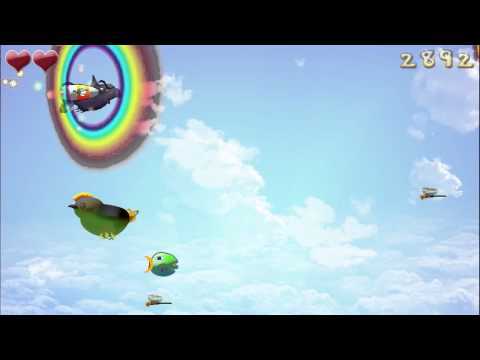 In Hungry Fish 3, the Hungry Fish takes to the sky! Grow by eating prey smaller than you, and make sure you avoid the big bad creatures! You grow slightly for every bite you eat, which eventually allows you to eat even the biggest monsters. Starting off in the water, grab the jetpack to take off to the sky! and if you are lucky enough to hit 3 rainbows, you launch into space! The controls couldn't be simpler, simply hold your finger on screen to swim or thrust upwards, and let go to dive.